"It is a one-year SMA, and they will start the negotiation again because this will only go for the rest of this calendar year," he said. During the interview, he repeatedly stressed the strength of the alliance. "It is more than ironclad. The ties we have ... they are unbreakable. 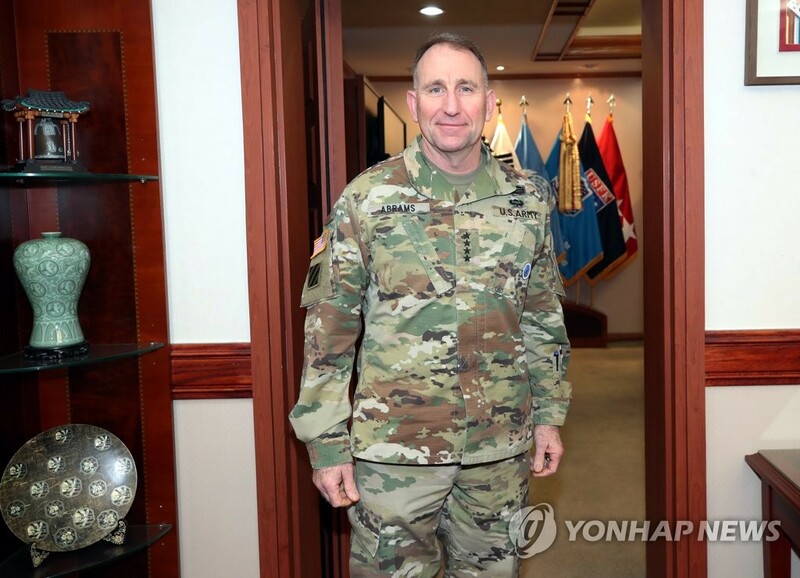 It has been challenged over the years with many different factors, different administrations, but the military alliance is rock-solid," he said. 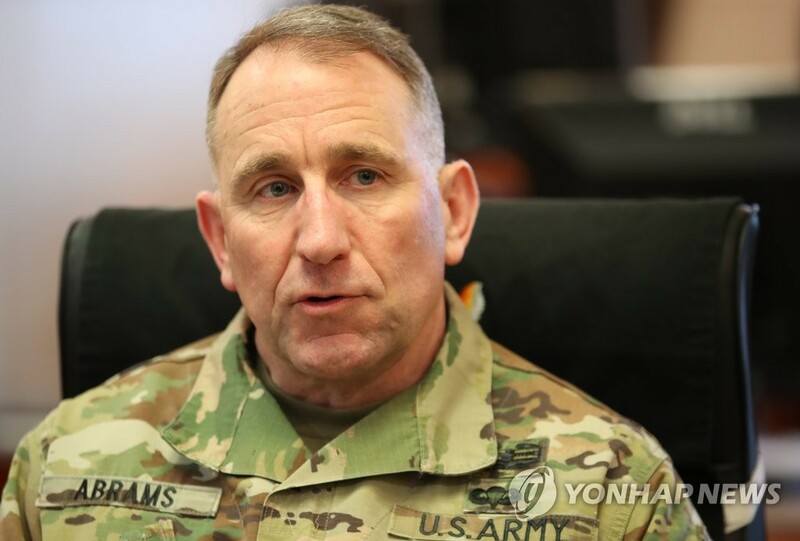 Over the past four months, Abrams has been immersed in Korean culture and food, which he called "fascinating and outstanding." He said that now, he tries to eat kimchi, a fermented cabbage dish, every day. His favorite dish is bibimbap, rice mixed with vegetables. "I've coined a new phrase, 'A day without kimchi is like a day without sunshine.' Seriously every day," he said.